If you are prepared to borrow money to grow your farm business, there is probably a lender willing to work with you. The major farm lenders and other types of financiers are listed below. Remember that a loan is a financial product; borrowing is like buying money. Like any other pricey product, you should shop around before making a decision. You might find a better price, or you might discover services at one financing institution that are worth paying a little more for. Often farmers will work with more than one of these institutions to build a loan package. USDA Farm Service Agency is tasked with providing loans and loan guarantees to farmers who would not otherwise qualify for conventional bank financing. FSA’s interest rates are set below market rates, and their loans can have more friendly terms than conventional bank loans, such as low cash down payments and longer payback periods. Yet it can be complicated and slow to borrow from FSA, and working with another lender alongside FSA can be especially helpful when buying farmland. Read the Farm Service Agency Loans Guidebook for more details about their loan programs. Farm Credit is a national network of financial institutions, each cooperatively owned by its customers. Together, Farm Credit institutions are by far the biggest agricultural lender in America. Farm Credit often works with FSA as a guarantor of its loans, which can be especially helpful for beginning farmers and ranchers, who may not have good enough credit to qualify for Farm Credit loans without an FSA guarantee. 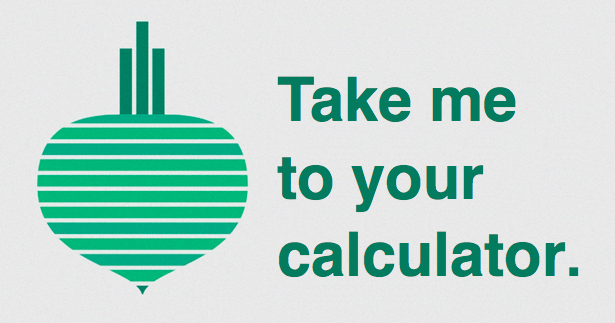 Find your local Farm Credit institution. Conventional banking institutions usually avoid providing mortgages to buy farmland. They can offer smaller operating loans or lines of credit to farm businesses with good credit and enough collateral, but usually farmers will find better loan terms and loan officers who understand their businesses better at Farm Credit or the Farm Service Agency. There are many exceptions. Some local banks and credit unions specialize in working with agriculture clients. In some states, aggie bond programs [link to 2017 directory] offer tax incentives to banks that lend to farmers. And if your farm operation is small enough, the local zoning laws flexible enough, and you have the credit and off-farm income to manage it, you can always work with a conventional bank to mortgage a residential property instead of a farm. Community Development Financial Institutions, or CDFIs, are financial institutions dedicated to lending responsibly to socially and economically disadvantaged people and communities. A few CDFIs are dedicated to agricultural lending, and others can lend to farmers in their communities. Use this map to find a CDFI near you. Most states or counties have economic development institutions that run loan or grant programs for small businesses in their communities, often in partnership with the Small Business Administration. Farmers and ranchers can qualify for their programs, especially if you need financial assistance to scale up your business. Most state departments of agriculture, or tribal governments, administer agricultural loan or grant programs. Visit your state’s department of agriculture website to learn more. Search using this directory, if you’re unsure of the right state agency, or find your state’s programs in this compilation of state agricultural finance programs. There are many ways to find small loans or grants for your business. Farm Service Agency runs its own microloan program for up to $50,000. Kiva is a well-known international platform which you can use to crowdsource up to $10,000 loans interest-free. Other sources of microloans or grants could be state governments, local nonprofits, family, or members of your community. Even credit cards, which offer introductory periods with 0% interest, can be used as microloans if you are careful to pay off your charges before the introductory period ends. Grant opportunities do exist for farmers and ranchers, but farmers should be aware of their caveats. For starters, grants are competitive; applying for one may require a lot of effort with no payout. Many grant awards are structured as reimbursements, so you may need financing anyway to get your project started before the grant funds come in. Last not least, the goals of grant programs are rarely just to help an individual get their farm started: instead, they tend to require you to perform research, or increase economic development, or provide some other community service, and you will be required to report back on these project results. As long as you are aware of these caveats and a grant opportunity still seems to suit your financing needs, go for it! Working with an investor can be a transformative opportunity, and is usually available only to farmers who are already running successful businesses and/or show unusual business savvy. Read The Basics of Impact Investors: What a Farmer Needs to Know for a primer on working with farmland investors. Note: Since this video was published, the 2018 Farm Bill increased FSA ownership loan maximums from $300,000 to $600,000. Do you feel prepared to meet a lender? Read this checklist, a summary of what most lenders will want to know about you and your business. Don’t check every box before you make an appointment–most lenders will be happy to learn about your plans and tell you about their loan products as you prepare. Struggling with anything in the checklist? Ask a question in the comments section below, or email us directly at land@youngfarmers.org. Please complete this evaluation after you have completed this lesson. Survey responses are anonymous. This information will be used to help us improve the course and in mandatory reporting to USDA. 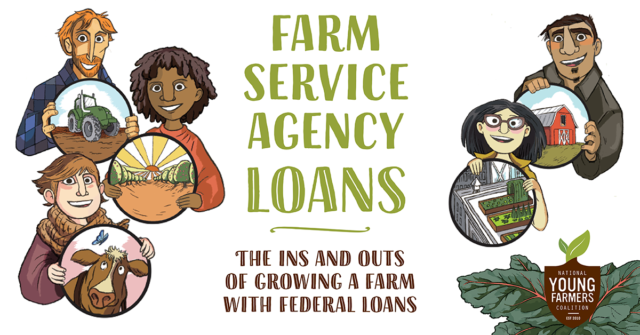 Read the Farm Service Agency Guidebook to learn all about beginning farmers’ and ranchers’ “lender of first opportunity.” Typically FSA loans are the most affordable financing you will find, this side of your rich uncle. But FSA is not a traditional bank; it’s a government agency with many complicated but useful programs, so it can be beneficial to take some time learning which of their programs can help you.